India's Tech Guru Rajiv Makhni anchors multiple TV shows on technology, including Gadget Guru, Cell Guru, NewsNet 3.0 across channels on the NDTV Network and "The TechGrandmasters" - India’s first Tech Quiz Game show. He is also a columnist and writes for major publications in India and abroad including the Outlook group, Hindustan Times, Mansworld, T3, Travel and Leisure International, The Man and M Magazines. 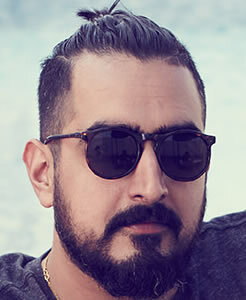 Rajiv Dingra is the Founder and CEO of WATConsult, the most awarded digital and social media agency, founded in the year 2007. An entrepreneur and a thought leader in the digital space, he currently leads a team of 300+ people at WATConsult. In 2015, Rajiv sold majority stake in WATConsult which became a part of global advertising network Dentsu Aegis Network. Rajiv is now part of the Digital Council and Executive Board at Dentsu Aegis Network India. Over the last 11 years, Rajiv has worked with more than 100 global and Indian brands for the digital media campaigns and strategies. He has won 'The young social media entrepreneur of the year' at CMO Asia Singapore, and the Agency CEO of the year at the Media Ace Awards, 2015. Rajiv has also been featured as a Linkedin Power Profile in 2016 and 2017 under the Marketing and Advertising category. Rajiv has been a global speaker at various forums across the world, and has also been an active jury member across prestigious award shows. 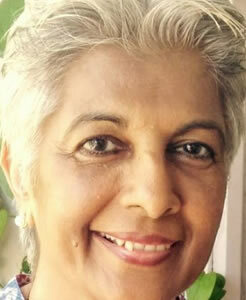 Sidin Vadukut is an editor, columnist and foreign correspondent with Mint. His previous books include the best-selling Dork trilogy—office-culture humour novels; The Sceptical Patriot—a collection of essays on Indian history; and The Corpse That Spoke—the true story of a British-Indian family that vanished under mysterious circumstances. Sidin is currently completing a Master’s in Historical Research at Birkbeck College, University of London. In October 2017, he will start a doctoral research programme on charity in the medieval economy. He previously graduated from the National Institute of Technology, Trichy and the Indian Institute of Management, Ahmedabad. Jayant Sriram is a Senior Assistant Editor with The Hindu in Mumbai. He has previously worked with India Today, Indian Express and The New Indian Express, reporting on a range of subjects from national politics, policy, law, development and agrarian issues. 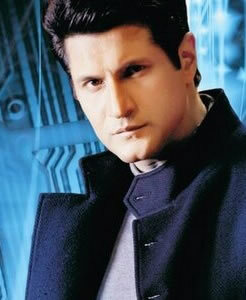 He is an alumnus of St.Stephen's College, Delhi and The School of Oriental and African Studies, London. Tanvi Shah is an award-winning Recording Artist / Songwriter and one of the most sought after voices in the music industry today. Tanvi shot to fame when she won the prestigious Grammy Award for Best Song Written for Motion Picture or Other Visual Media, for her Spanish lyrics in the song "Jai Ho" from Slumdog Millionaire (2010), an award she shared with maestro A.R. Rahman and lyricist Gulzar. She also shares the World Soundtrack Award (2009) with Rahman and Gulzar besides receiving the BMI Award in 2009 in London for the same track. While she has done her fair share of playback singing for the film industry in India, she is an international star, and the fact that she can sing in several different languages has won her fans across the world. Tanvi sings in Spanish, Portuguese, Afro-Cuban, Arabic besides Hindi, Tamil and Telugu and experiments with a wide range of music with her band. 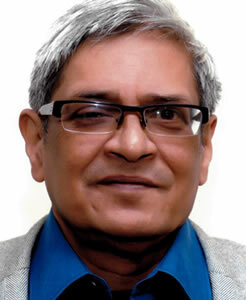 Bibek Debroy is a renowned economist, and is presently a Member of NITI Aayog, Government of India. He has worked in Presidency College, Kolkata, Gokhale Institute of Politics and Economics, Pune, Indian Institute of Foreign Trade, Delhi as the Director of the Ministry of Finance/UNDP project on legal reforms, Department of Economic Affairs, National Council of Applied Economic Research, the Rajiv Gandhi Institute for Contemporary Studies, PHD Chamber of Commerce and Industry and the Centre for Policy Research. He has authored and edited several books, papers and popular articles and has also been a Consulting / Contributing Editor with several newspapers. 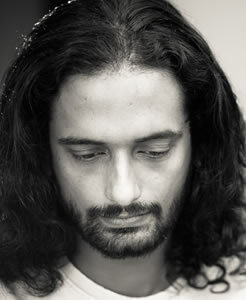 Kunal Daswani is one of Chennai's leading advertising, fashion and food photographers. He has a passion for creating powerful images both for art as well as commerce, as long as they tell a story. Ayappa KM is writer and filmmaker from Mumbai. He is know for his unusual casting and oddball humour. His work has won numerous national and international awards, including a Cannes Lion. He is currently co-founder of Earlymanfilm.com. 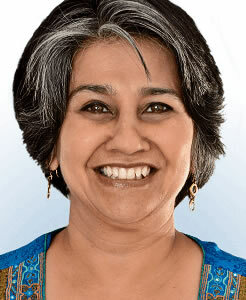 Rashmi has been working with children with special needs for a little over a decade. After completing a commerce degree, a diploma in special education and 4 years of working with children with special needs, she obtained her master's degree in autism from Strathclyde University, Scotland. In addition to teaching in a school setting, Rashmi has worked with parents and families of children with special needs to help them adapt their home environment to best suit their child. In working with these parents, she realised that very often their ability to care for their child was hindered by lack of reliable information. She has been thinking about ways to address this problem for the last 7 years, and has established the Special Sources Foundation which she hopes will fill this void. 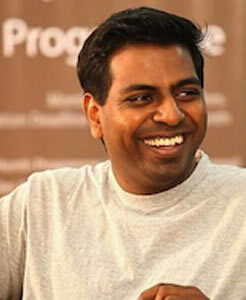 Mathivanan Rajendran is the founder of Stray Factory, a performing arts and new media entertainment company. Since 2010, he has produced over 20 Theatrical Productions across the globe at various performing arts festivals including National Arts Festival, South Africa, The Hollywood Fringe Festival, Los Angeles and Short+Sweet Theatre Festivals in Kuala Lumpur, Los Angeles and Sydney. In 2014, He founded Rascalas one of South India’s most popular YouTube channels which currently has close 100000 subscribers. 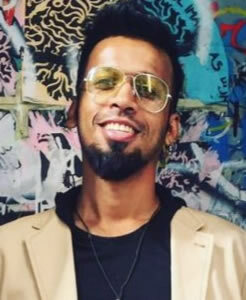 He has produced short form content videos on this channel and functioned as the Producer of Black Sheep, one of South India’s first Web Series. He also launched Stray Stories, a short documentary series which is focused on bringing to the fore positive stories from marginalized and sidelined communities in Tamil Nadu. He was recently appointed as Festival Director for Short+Sweet Film Festival, South India in collaboration with the Stella Adler Academy, Los Angeles. Judy Balan is the author of 6 novels, including the best-seller "Two Fates: The Story of my Divorce". Judy is popular for her wry, often self-deprecatory humour. As a writer, she loves dabbling in different mediums - blogs, plays, columns, novels, movies, sitcoms, you name it. Quincy Larson is the creator of freeCodeCamp.org, a community where you can learn to code for free. 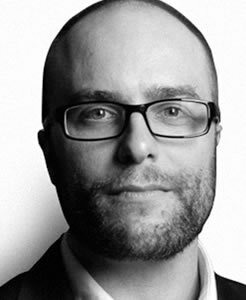 He is also the editor of freeCodeCamp's Medium publication, the most popular technology publication on Medium. In 2010, Kimberly Duran started her blog Swoon Worthy to catalogue the work being done to her 100+ year old Edwardian semi in Manchester, England. Since then, her blog has grown into one of the UK's leading interior design blogs, winning two prestigious awards including the Bloggers' Choice Award in the Amara Interior Blog Awards, 2016 and Most Creative DIY Project in 2015 Callwey Best of Interior Blog Awards as well as being named one of the Best Interior Design Blogs by The Telegraph, Vuelio, Hello! Magazine and The Daily Mail. Her home and her unique eclectic boho glam style have been featured in countless magazines and interior design books both in the UK and abroad. Swoon Worthy has become a destination where every day, thousands of readers across the globe look to Kimberly for accessible design ideas and inspiration for their homes and their lives. Tara is an actor and producer and more importantly as she says, a devoted Mum! She has done about 15 films as an actress, some of which like Page 3, Masti and Khosla Ka Ghosla have been big hits. She has also done several ads. Tara and her husband Roopak have 2 small children, Zen and Kai. When they were born she started writing a blog (www.tarasharmashow.com) about what she describes as ‘the most incredible journey of my life – bringing up our kids’. 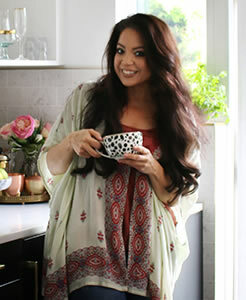 In an attempt to be a hands on mum and get back to work, Tara successfully turned her blog into a multi platform show which she has conceptualized, hosts and co-produces with www.sooperfly.com. 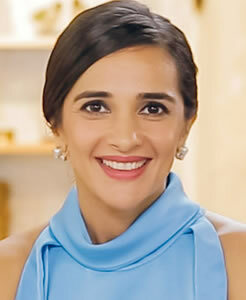 Her show, ‘The Tara Sharma Show”, has had four successful Seasons on TV and digital platforms. The Tara Sharma Show Seasons 1 and 2 were her diary as a new Mum and Season 3 and 4 of the show widened to become a platform to discuss topical family, parenting, women’s and children’s issues with a view to helping bring about positive change. Some of the celebrity guests so far have been Aamir Khan, Kajol, John Abraham, Virat Kohli, Mary Kom, Shilpa Shetty, Konkona, Matthew Hayden, Juhi Chawla and others. A strong believer in each to their own, and do what works for you, she applauds women who go back to work, those who chose not to or those who balance both, the main breakthrough she feels is women having the choice! Shweta is an award winning journalist, vivacious, opinionated and ambitious, and always ready to kick up a storm for a social cause. She is known to be a silent professional, and a happy and hardworking person. 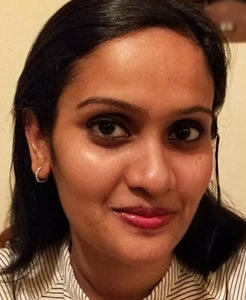 Shweta is currently the Managing Editor with TNT - The Northeast Today - the Northeast’s first fully digital news portal. She is the recipient of the 'Outstanding Young Journalist Award' 2017, by the All Assam Entrepreneurs Association. She is also a Peacebuilder with the Berghof Foundation, Germany, trained in peacebuilding and resolving certain conflict situations. Shweta frequently freelances with Youth Ki Awaaz, Shilong. Vijay Anand is the Founder and Managing Director of The Startup Centre - an early stage startup Incubator which works with Technology Entrepreneurs in India. The Incubator has successfully spawned companies that have gone on to raise capital from the likes of Accel Capital and Kae, and have become profitable entities. 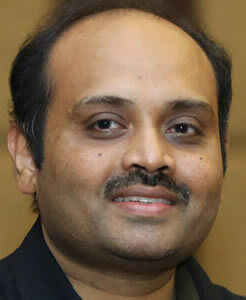 He was the founding member of Rural Technology and Business Incubator (RTBI), IIT Madras and is one of the founding members of Proto.in - India's first platform that showcased startups, founded in 2005 that kickstarted the startup movement in the country, and discovered companies such as Ixigo, Myntra and Druvaa. Born and raised in Mumbai, Kamla Ravikumar's educational experiences are in art and interior design. She has designed and decorated residential and commercial spaces in Chennai for the last fifteen years. Kamla's love for colour, fascination with the properties of glass and a passion for learning led her to discover a new craft. She started making Tiffany lamps, mirrors, stained glass panels and doorway arches which are housed in residences in Chennai and New Delhi. Kamla also manages Studio 41, where she teaches drawing, painting, pottery, Tanjore glass painting, stained glass painting, fabric painting, and folk art, and conducts preparatory workshops for students planning to pursue undergraduate studies in art or visual communication, Architecture Entrance (NATA), and NID Entrance. She encourages children by holding an exhibition of their works annually. Gul is an actor and an entrepreneur, and is one of India’s most powerful opinion makers and thought leaders. She is a frontline advocate and activist, who regularly engages and facilitates dialogue and debate on critical issues of gender equality and justice, environmental issues, fundamental rights, secularism, corruption and political accountability. Gul holds a Masters degree in Political Science. Her social and political activism has had her being recognized as one of the most influential voices on social media and is a youth icon. She is an entrepreneur, adventurer, fitness icon and is passionate about technology, automobiles and aviation. Gul is an avid reader, and is a collector of first editions. She has grown up with dogs and horses, and the two are an inseparable part of her life. Rashmi Bansal is a writer, entrepreneur and a youth expert, and is the author of 7 bestselling books on entrepreneurship which have sold more than 1 million copies and been translated in 12 languages, including Korean and Vietnamese. Her popular titles include 'Stay Hungry Stay Foolish', 'Connect the Dots' and 'Take Me Home'. Her 8th book 'God’s Own Kitchen', is the inspiring story of Akshaya Patra - a social enterprise run by monks and CEOs. 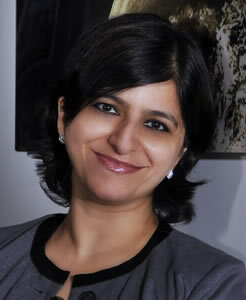 Rashmi also co-founded JAM (Just Another Magazine) which went on to become India’s most popular youth magazine. Her popular blog Youthcurry features her writings on youth, careers and entrepreneurship. 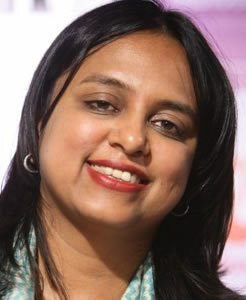 Rashmi is a columnist on Rediff.com and is a regular contributor to Businessworld magazine. She has also been Consulting Editor with business news channel Bloomberg UTV, where she hosted India’s first call-in show on careers 'Stay Hungry'. 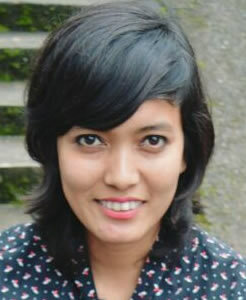 She is also the founder of bloodygoodbook.com, a platform to discover and e-publish budding authors. Rashmi mentors numerous students and young entrepreneurs and has spoken at various corporates and institutes of national and international repute. Anupriya Subbian & Tahaer Zoyab are co-founders and principal designers at Triple O Studio - a multi-disciplinary design house. Inspired by the impact and positive energy of good design, Triple O Studio was set up in 2010, with prior work experience in Chennai, Coimbatore, Bangalore and New York City. Triple O is a methodology and acknowledgement of their individual responsibility in achieving massive change through better design. Their collaborative platform runs a core team focusing on Architecture, Products, Interior and furniture design and larger scale planning and Urban design. Their studio is currently engaged with the national government as smart-city urban design consultants, city-scale projects including the longest foot-over bridge in the city, architecture - ranging from cinema complexes to low-cost housing, and hospitality and residential interiors. With an eye on innovation, Triple O Studio places an emphasis on green and sustainable design solutions. Rochelle is a popular celebrity in the modern television industry, and is an engaging social media influencer. 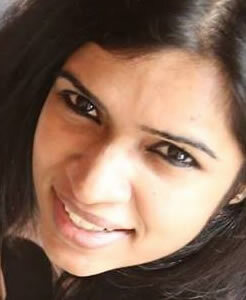 She was born and brought up in Chennai, and also holds a degree in Electronic Media. Post graduation, Rochelle was the runner up in the Femina Miss India South pageant, 2012 and was crowned Femina Miss India-International, 2012 at the Femina Miss India pageant, after which she represented India at the Miss International 2012 pageant in Japan the same year. Rochelle became a popular face of the Indian Television Industry soon after, and has hosted the Indian Premier League Season 6 and 7. She has also been a part of shows on TV, and plays a diverse set of roles from time to time. The name of this officer cannot be disclosed, as he is presently serving in the Indian Armed Forces. The officer is a serving Army Officer who is presently commanding an Infantry Battalion along the sensitive Line of Actual Control with China. The Officer was commissioned from the Indian Military Academy and joined an Infantry Battalion deployed along the International Boundary in the 'Chickens Neck' sector. 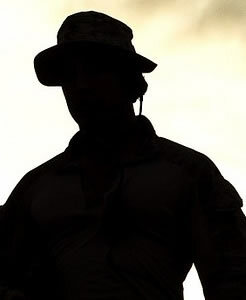 He has seen action during the Post Parliament attacks against Pakistan in Jammu, Counter Terrorism Operations in eastern Assam against the ULFA, Counter Infiltration and Counter Terrorism operations along the Line of Control With Pakistan in Uri sector and a brief tenure as a Peacekeeper under UN Mission MONUSCO in Democratic Republic of Congo apart from the Line of Actual Control in the east. The Officer has also teneted a tenure as an Instructor at the Indian Military Academy, Dehradun and a tenure at The Military Intelligence Directorate in the Army Head Quarters, New Delhi. The officer is an ardent writer, artist and blogger and has had a background in Media relations & Social Media. Vinay Aravind is an Indian wedding, portrait and documentary photographer. 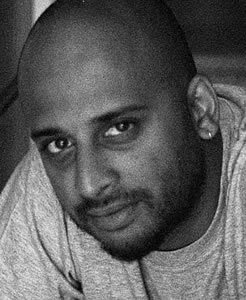 His work has been featured in Outlook Traveller, Cosmopolitan, Rolling Stone, The Hindu, BBC Good Food and Huffington Post, among others. 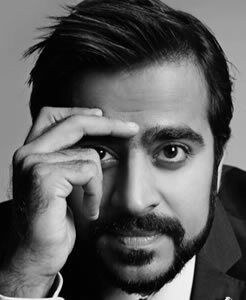 He has shot over 250 weddings in India and abroad and has been described by Femina Bride as one of "India's best wedding photographers". 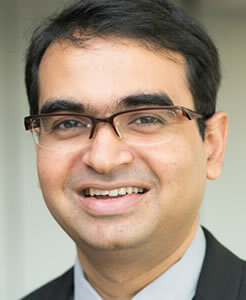 Anand is a clinician-scientist at the National University of Singapore. He trained in medicine at the Christian Medical College Vellore, and then in Cancer Biology as a Gates Scholar at the University of Cambridge. He specialises in the treatment of aggressive lymphomas, and his laboratory works on how cells repair damaged DNA. Anand is passionate about teaching science - to school children, medical students, residents, and anyone else who will let him. He loves impractical cars, single malts, kebabs and dreaming about space travel. 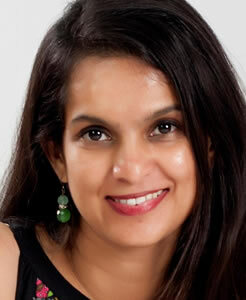 Preeti Shenoy, one among the top five highest selling authors in India, is also on the Forbes longlist of the most influential celebrities in India. She has been awarded the 'Indian of the Year' award for 2017 by Brands Academy for her contribution to Literature, has received the Academia award for Business Excellence by the New Delhi Institute of Management, and is the recipient of the '100 Young Indian Women Achievers Award', in the Powerful Leader category. She has given talks in many premier educational institutions such as IITs and IIMs and corporate organisations like KPMG, Infosys and Accenture. She is also an artist specialising in portraiture and illustrated journalling. Her short stories and poetry have been published in various magazines such as Conde Nast and Verve. Preeti has a very popular blog and also writes a weekly column in The Financial Chronicle, and has a massive online following. Her other interests are travel, photography and yoga. 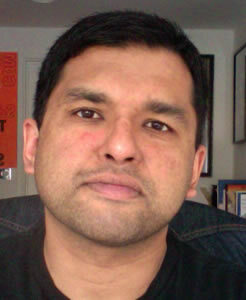 Amit Agarwal authors the award-winning Digital Inspiration blog, where he writes how-to guides around consumer software and mobile apps. He has developed several popular web apps and Google Add-ons, including Mail Merge for Gmail. Amit has written columns on personal technology for major publications, including The Wall Street Journal India, CNBC TV18 and The Hindustan Times. Amit is a regular speaker at technology and blogging conferences. He is also the author of The Most Useful Websites, an e-book that discusses the lesser-known but incredibly useful sites on the web. In 2010, Amit launched India Blog School, a non-profit initiative that aims to spread blogging culture in India. 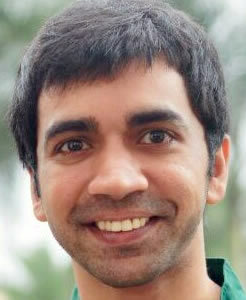 He is the curator of India Blogs, a directory of Indian bloggers. Kaul has over two decades of leadership experience of driving integrated communications to build brands, influence policy, shape perceptions and manage crisis. Prior to her appointment at PepsiCo India, Poonam was the Director Communications at Nokia for India, Middle East and Africa and heading 90 markets. 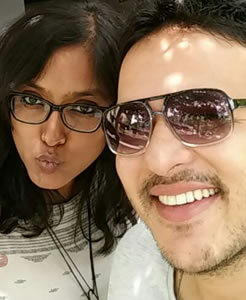 She was also with Microsoft India for six and half years where she was heading advertising and public relations for all business units of Microsoft in India. 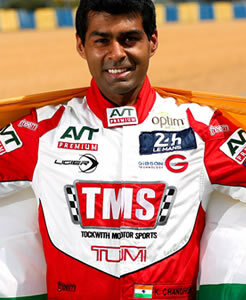 Karun was born into a motor racing family where his father, grandfather and even grandmother used to race! Since 2012, he has been competing in Sportscars, becoming the only Indian to ever compete in the iconic Le Mans 24 hour race, finishing in the top 6 in class at Le Mans in 2012, 2013 and 2015. A resident of the UK, Karun has built up quite a name for himself as a commentator and analyst for motorsport, working with 5 different global Formula 1 broadcasters. He is a regular columnist for the world’s leading motorsport magazines, Autosport and Motorsport and has also worked with Jeremy Clarkson for his end of year DVD ‘Powered up’, on ‘Fifth Gear’, with National Geographic and a host of Indian news channels. In 2013, Karun became a member of the first ever FIA Driver’s Commission and continues to represent the rights and views of driver’s from across the world. He also conducts an annual charity event, the "Karun's Karting Carnival" in the summer in the UK to raise funds for the education of underprivileged children in India through his family run Vishnu Devananda Charitable Trust.